All of our skirting material and completed skirts are manufactured in our facility in Vietnam. Skirts Plus does stock approximately 260 different colors, but only in tab form. Each stocked tab is approximately 6 inches Long x 5/8 inches wide and has 22 strands. We also stock all bands, rattle straps, rattles, kits, lure loops and tying tools. You can order a combination of skirt tabs, bands, and rattles to tie your own skirts. Small orders of tabs can usually be shipped within a couple days. Orders for non-stocked tabs, frog hair or wide cut material, and all completed skirts will be processed in our facility in Vietnam. Once completed, your order will be shipped to our office in Minnesota. We will reroute the order, via UPS or USPS, to your business. You are responsible only for the UPS or USPS freight charges. Please plan for approximately 3-4 weeks for the delivery, or possibly longer during our busy times, when placing these types of orders. When you are ready to place a purchase order, we can accept it via Fax or by Email. 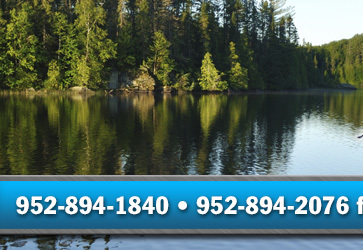 The 24 hour fax number is (952) 894-2076. 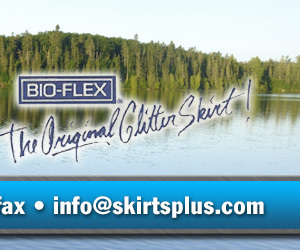 Our email address is info@skirtsplus.com. The third, but least desirable, method is by telephone. We promote using fax and email, so that miscommunications cannot occur, as they sometimes do by telephone. When ordering skirts, more information is needed – style of skirt, colors, strand counts, band colors, etc. It is best to call us and we will gather the required information. We will request that each skirt created will be given a unique name or number that we will keep in a master list for your company. On subsequent orders, you will only have to give us the quantity and that name/number of skirt. A sample order form can be downloaded here. Feel free to copy it to use in placing orders. If you prefer, use your own purchase order form. Once again, please call if you have any questions or concerns.